The Amazon and Blue Origin CEO has IMDB credits. It’s clear Jeff Bezos, founder and CEO of Amazon and the commercial space company Blue Origin, has always had ambitions to fly among the stars, and next week the world will see him live out a version of that fantasy when he makes a cameo appearance in Star Trek Beyond. The movie opens on Friday and thanks to some sleuths on IMDB, which Amazon and Bezos subsequently own, it was revealed that the Amazon founder’s movie credits appear at the bottom of the cast list as “Starfleet Official. IMDB isn’t the most reliable source of information for these things, given that actors have been known to submit false information, and certain details tend to slip through the vetting process. But, The Associated Press on Friday further confirmed the cameo via producer J.J. Abrams and director Justin Lin. 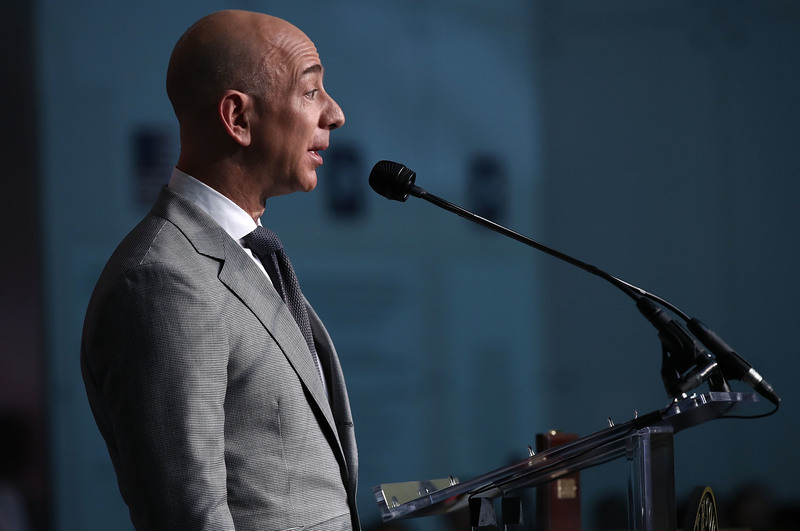 Bezos has publicly talked about his love for space in the past; he did buy and operate a commercial space flight company after all. He was also a big Trekkie as a kid, so his appearance in the new movie must be a dream come true. At that same May event during an interview conducted by Martin Baron, executive editor of The Washington Post – which Bezos also owns (are we noticing a theme yet?) – he said that Amazon’s Echo home assistant device was even inspired by the science-fiction series. It’s unlikely, but maybe Bezos will even be in the Starship Enterprise when it goes down.